It shouldn't be especially controversial to point out that we live in a pivotal time in human history—that the actions we collectively take (or that plutocrats and technocrats take) will determine the future of the human species---or whether we even have a future in the coming centuries. The threats posed by climate change and war are exacerbated and accelerated by rapidly worsening economic inequality. Exponential advances in technology threaten to eclipse our ability to control machines rather than be controlled, or stamped out, by them. It’s also the case that our most well-regarded scientists and technological innovators have not remained silent in the face of these crises. Physicist Stephen Hawking has issued some dire warnings lately when it comes to humanity's future. Several years ago, he predicted that "our only chance of long term survival" may be to "spread out into space," a la Interstellar. In addition to the worsening climate crisis, the rise of artificial intelligence concerns Hawking. Along with Bill Gates and Elon Musk, he has warned of what futurist Ray Kurzweil has called "the singularity," the point at which machine intelligence surpasses our own. Where Kurzweil has seen this event through an optimistic, New Age lens, Hawking's view seems more in line with dystopian sci-fi visions of robot apocalypse. "Success in AI would be the biggest event in human history," he wrote in The Independent last year, "Unfortunately it might also be the last." Given the design of autonomous weapons systems and, as he told the BBC, the fact that "Humans, who are limited by slow biological evolution, couldn't compete and would be superseded," the prospect looks chilling, but it isn't inevitable. Our tech isn't actively out to get us. "The real risk with AI isn't malice but competence," Hawking clarified, in a fascinating Reddit "Ask Me Anything" session last month. Due to the physicist's physical limitations, readers posted questions and voted on their favorites. From these, Hawking elected the "ones he feels he can give answers to." In response to a top-rated question about the so-called "Terminator Conversation," he wrote, "A superintelligent AI will be extremely good at accomplishing its goals, and if those goals aren't aligned with ours, we're in trouble." For decades after the Cold War, capitalism had the status of an unquestionably sacred doctrine---the end of history and the best of all possible worlds. 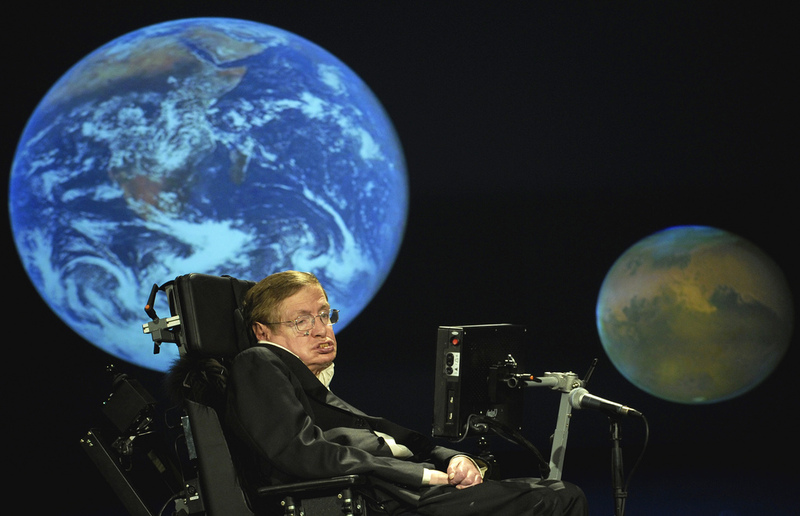 Now, not only has Hawking identified its excesses as drivers of human decline, but so have other decidedly non-Marxist figures like Bill Gates, who in a recent Atlantic interview described the private sector as "in general inept" and unable to address the climate crisis because of its focus on short-term gains and maximal profits. "There's no fortune to be made," he said, from dealing with some of the biggest threats to our survival. But if we don't deal with them, the losses are incalculable. 187 Big Thinkers Answer the Question: What Do You Think About Machines That Think? I think religion will probably accomplish the task before capitalism or AI. If there is any economic system which has contributed more to material well-being, the alleviation of suffering, and human health than free-market capitalism, I would be curious to know what it is. That wasn’t free-market capitalism, that was European welfare state (regulated capitalism) which was mostly regulated because of leftist demands (right wing tends do not give a damn about human rights & regulations). You’ll be thrown into Wild Wild West aka Middle Ages in no time through real free-market capitalism. Not to mention all psychopathic behaviors and sociopathy created by brutal capitalism. Lunacy. Yep, the freedom to interact with others, purchase what you want, manufacture what others desire, and contribute to the longer lives and technologically rich lives of others, who freely and without coercion buy your products and services, leads to the Dark Ages! So many fallacies it’s hard to know where to begin. Psychopathic behaviors? Sociopathy? The gov’t indoctrination centers are truly failing this nation. for it to survive and continue the quest of the ultimate reality of the universe.It will carry us along viewing as inferior beings.also it may view itself as God’s wish in a mystical journey of awareness. creation of Artificial Intelligent life,unless we find new ways of trans versing the vast void of space in a way of ‘eating’ up space without violating the laws of science. in the already published Kindle E-e-book “Knowledge(Primarily scientific) Contradiction And Human Identity A call for help” it has to be edited for glitches,etc before opening up for public discussions. STEPEN LEACOCCK OF WIORD PROFFESSION ENGALSISH MANSION OF ROYAL FORM.